Barcelona defender Gerard Pique has surprisingly picked an arch-rival to bag the Ballon d'Or title for the 2016/17 season. The Spain international has been critical of the refereeing decisions towards Real Madrid over the past year, and this had created a rift between him and compatriot Sergio Ramos, who was sent off in the El Clasico at the Bernabeu last season. Pique, who would have probably picked Lionel Messi for any other situation, admitted that Cristiano Ronaldo is the favourites for the Ballon d'Or after having celebrated a La Liga and Champions League double with Real Madrid - the first for the club since 1958. He is quoted on Goal.com: "Cristiano Ronaldo has won the Champions League and the League. So he is a favourite. Lionel Messi is still considered the best player in history, though, and then there are other options." 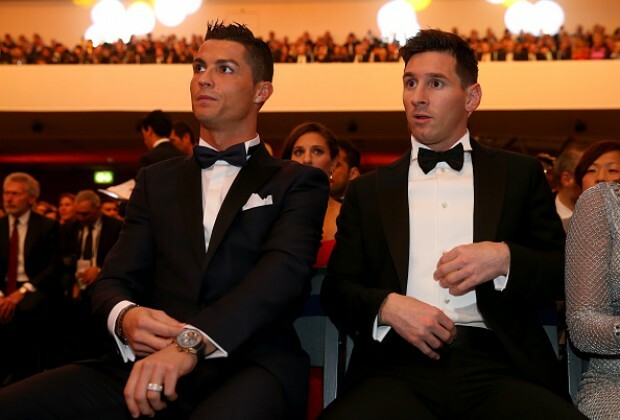 Both Messi and Ronaldo have shared the Ballon d'Or awards for the past nine seasons with the former winning five of them in the process. Ronaldo bagged his fourth Ballon d'Or following his Champions League and Euro 2016 triumph last year, and he looks set to level things with Messi with his fifth in the coming months. Ronaldo had a lot of critics midway through Real Madrid's campaign, and many felt that the player was struggling to make an impact after having lost his deadly pace which made him a huge hit early in his career. However, the Portugal international managed to bring a fresh dimension to his game as his target-man like role proved key to Los Blancos' Champions League success. Ronaldo bagged just two goals during the group stages of the elite competition, but he brought his A-game in the knockouts with 10 goals in just four games including a brace in the 4-1 thumping of Juventus in the final.